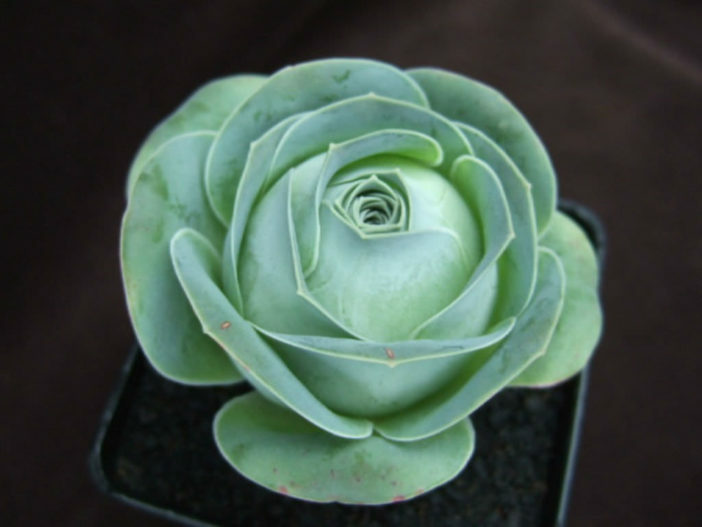 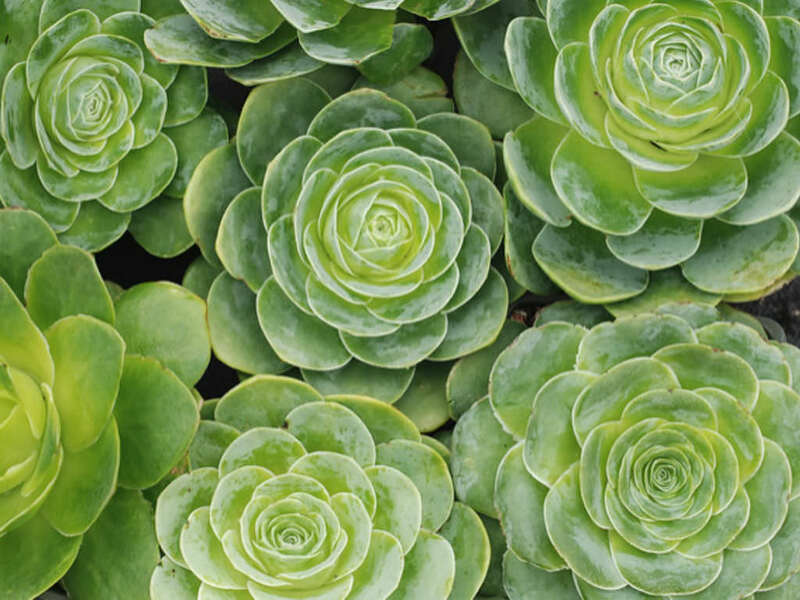 Aeonium diplocyclum is an evergreen perennial succulent up to 2.4 inches (6 cm) tall. 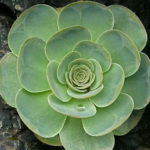 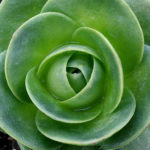 The rosettes are up to 8 inches (20 cm) in diameter, light yellowish green in full sun and finely white powered, if plants are grown in full sun. During their summer dormancy rosettes will close cup-like and are covered with beige-red, dry leaf sheaths. 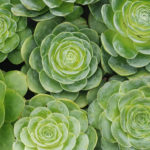 The flowers are larger than those in Aeonium aureum and young leaves are ciliated at their edges. 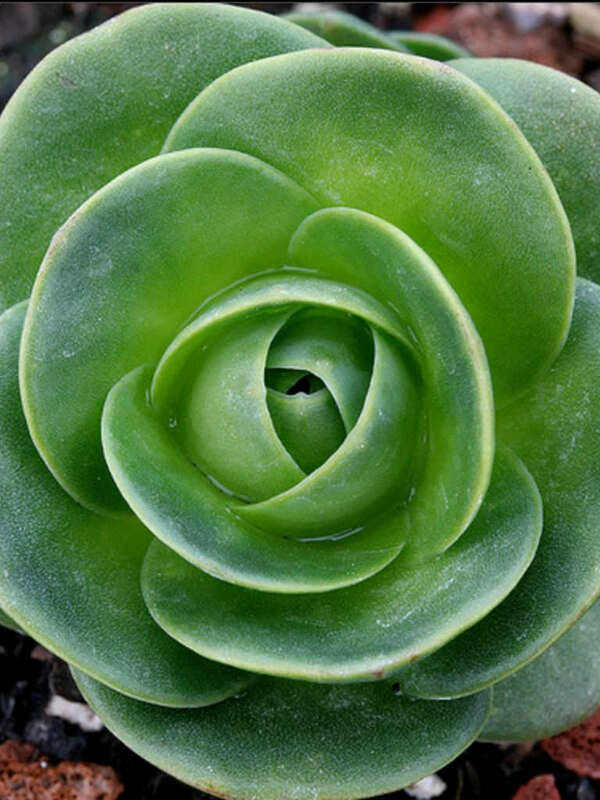 Plants remain solitary and they will never form any offsets. 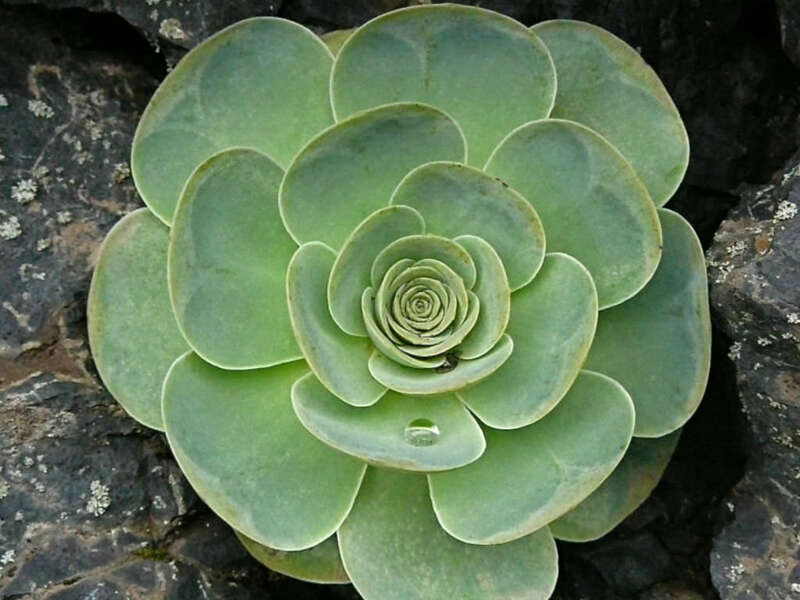 Native to Canary Islands (La Palma, El Hierro and la Gomera).